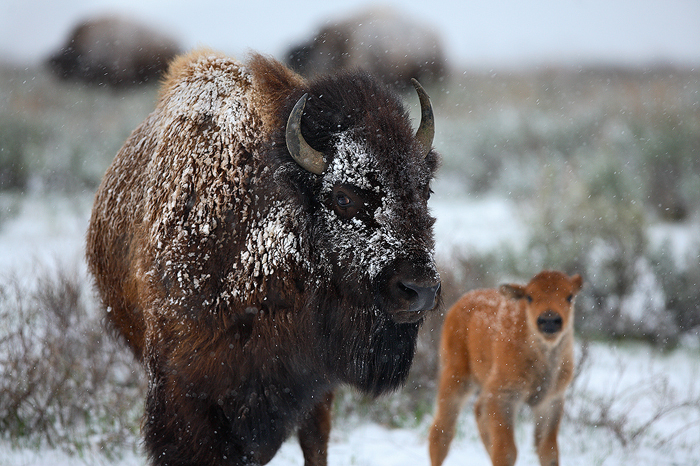 A bison stands in the snow keeping an alert eye on anything she might deem a threat to her curious newborn calf. Buffalo, for the most part tend to appear very passive and sluggish. This is usually simply because they are conserving their energy, however, when necessary these massive creatures can reach speeds of 30-40 mph, and those horns aren't just for show.